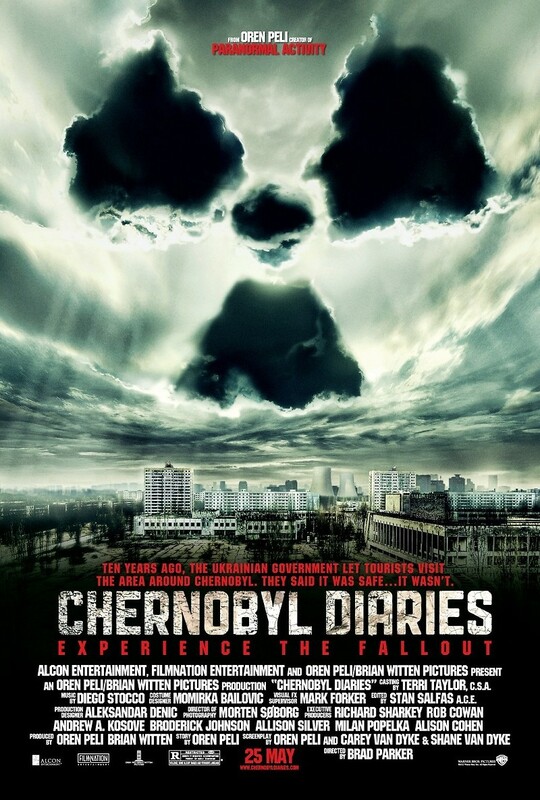 Chernobyl Diaries DVD and Blu-ray release date was set for October 16, 2012. Chris is travelling through Europe, along with his girlfriend Natalie and their friend, Amanda. The group is making their way to Moscow, where Chris plans to ask Natalie to marry him. They meet up with another friend who proposes a trip to Pripyat, the town left devastated by the Chernobyl disaster. Chris is reluctant, but the rest of the group talks him into the adventure. They are joined by another pair of backpackers and a tour guide, who knows how of an abandoned checkpoint they can use to get in. Once in Pripyat, the group encounters not only the devastation but mutant creatures and strange events. One by one, the group members meet with untimely disasters, ultimately leaving only Amanda to try to escape the horrors created by the world's worst nuclear disaster.